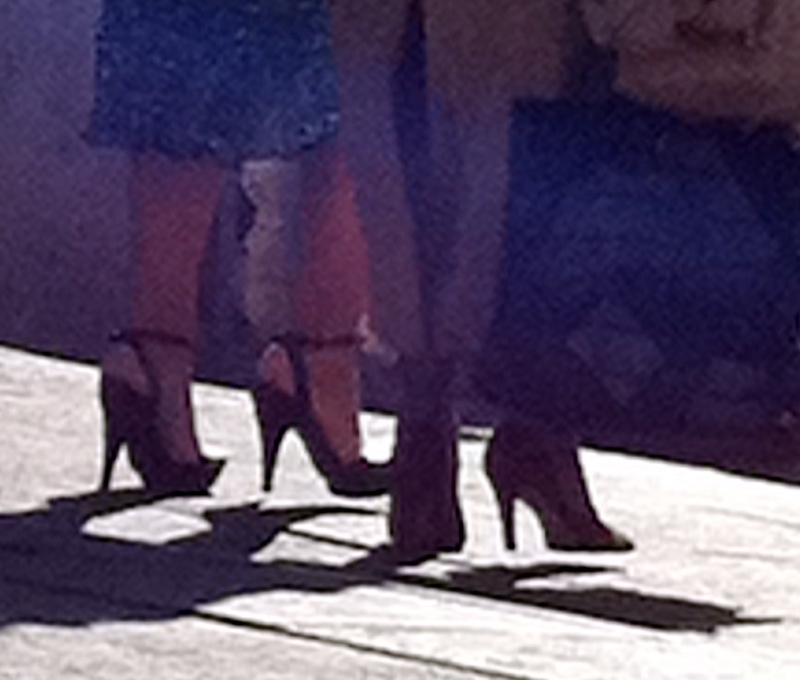 Stilettoes vs Rome’s cobblestone streets – the battle intensifies…. Over the past 2 months, 2 things got me thinking about Rome’s iconic cobblestone streets and high heel shoes. 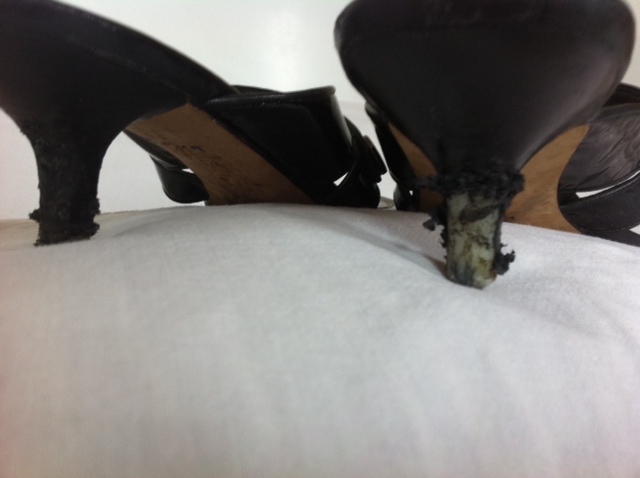 The first was this: the result of a daylong walk around centro in my favourite pair of Cole Haan mules. These were the comfiest -slash – most stylish shoes I’ve ever owned! And in 1 day, they were destroyed. The second was the counter-balance to a blog that I have been mentally compiling for a while: fashions that Italian men can wear that no one else can pull off. The topic of this proposed post, (and the photos of Italian men I am compiling), were causing no end of consternation with Alessandro, so I decided to balance coverage of both genders and develop a photo essay on the insanely high shoes that some women wear. That they wear them to walk on cobblestone streets is just mind-boggling. Cobblestone streets in Rome possess a very Italian character – like they’ve been thrown down in a carefree flourish, letting cracks and gaps exist as they will. I long for some Swiss precision in these streets. 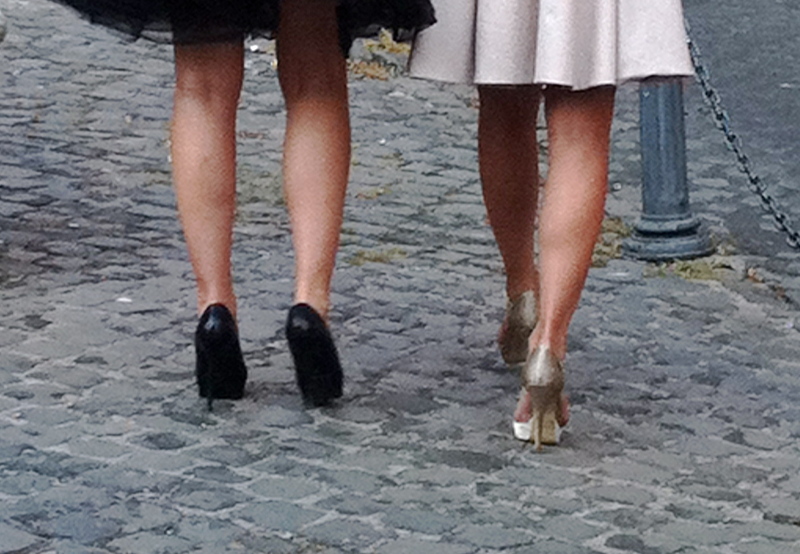 So quite honestly it wasn’t surprise to see this article recently: Rome Rethinks Cobblestones to Save High Heels. I mean, Italy is synonymous with the finest foot fashion – but how could a fine shoe industry ever develop here? I suppose that constant destruction of your shoes makes for a captive market…. So, for your viewing pleasure, are just a sample of brave women wearing insane shoes…I’ll continue to post pics as I see them….